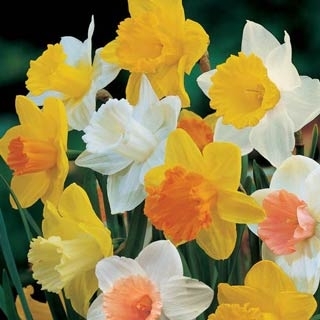 These are best-known group of Narcissus that multiply freely. 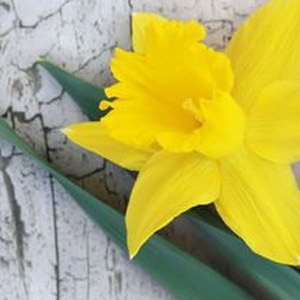 These Daffodils are terrific naturalizers with a long blooming season. They have large flowers and the trumpets or coronas are as long as their flower petals. 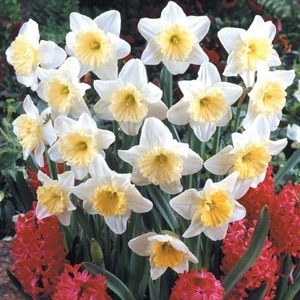 Trumpet Narcissus have the largest flowers of any Narcissus group. They are characterized by a very long trumpet (corona) that is as long or longer than the petals. 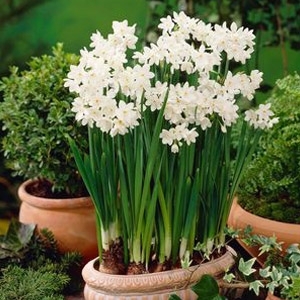 Large Cup Narcissi have only one flower per stem. The cup (corona) is more that one-third, but less than equal to the length of the flowers' outer petals. 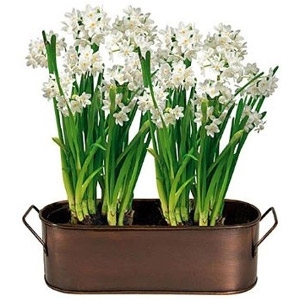 As a member of the Tazetta classification, Paperwhite Narcissus have multiple flowers per stem and require no pre-chilling to bloom. Used primarily for indoor forcing, they take 4-6 weeks to bloom. 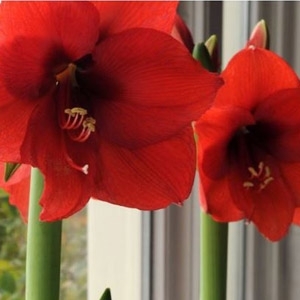 Amaryllis have become increasingly popular holiday gift plants, undoubtedly because the bulbs bloom very freely indoors and they are affordable. The large, showy flowers make a bold statement and are available in an increasing variety of colors, shapes, and sizes that fit almost any taste. Amaryllis are not difficult to grow and may be brought into bloom every year if the plants are treated correctly. Medium size plant, growing 12 to 24 inches tall, with brightly colored large crimson leaves with green borders. 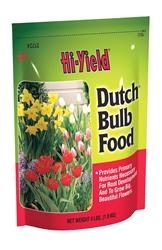 Excellent when used as a border or planted in groups. Leaves resemble Elephant Ears. Prefers moist and rich soil. Medium size plant, growing 12 to 24 inches tall, with brightly colored large flame red leaves with a green border. 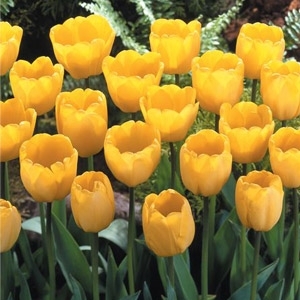 Excellent when used as a border or planted in groups. Leaves resemble Elephant Ears. Prefers moist, rich soil. A showy foliage plant with green leaves splashed with pink and dark pink veining. Leaves resemble Elephant Ears. Grows 18 to 24 inches tall and wide. Prefers moist, rich soil. An exciting accent to any landscape. A showy foliage plant with bright red foliage edged in green. Leaves resemble Elephant Ears. Can reach heights of 18 to 24 inches tall and wide. Prefers rich, moist soil. An exciting accent to any landscape. A large-leafed Caladium with white foliage bearing deep green veining and edging. Leaves resemble Elephant Ears. Can reach 18 to 26 inches tall and 18 to 24 inches wide. Prefers moist, rich soil. An exciting accent to any landscape. A white-leafed Caladium with green veining and bright red center vein. Leaves resemble Elephant Ears. Will reach 18 to 20 inches tall. Prefers moist, rich soil. An exciting accent to any landscape. Heart-shaped leaves have a large rose center and main veins that are surrounded by lime green and a large green border. Clumps of the long-stalked leaves grow up to 12 to 24 inches tall. Great as a container plant or showy groundcover.